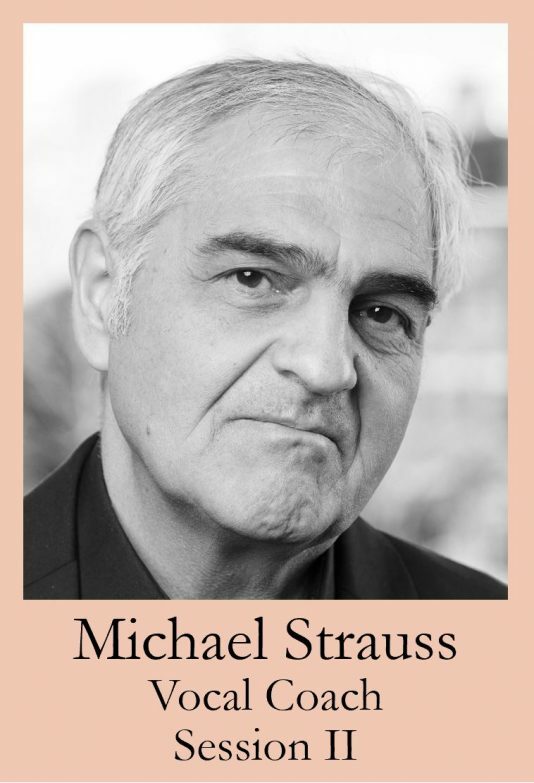 Michael Strauss is a native of Cape Town, South Africa where he studied under Laura Searle and Thomas Rajna at the University of Cape Town. He began his teaching career at Johannesburg’s University of the Witswatersrand where he taught piano and chamber music and was the head vocal coach and chorusmaster of the opera department. As a performer, Mr. Strauss was associated with the South African Broadcasting Company where he was a frequent soloist and accompanist on radio and television. He has been the featured concerto soloist with orchestras across the country, performing Liszt’s Piano Concerto No. 1 with the Cape Town Performing Arts Board, Rachmaninoff’s Paganini Variations with the Cape Town Symphony Orchestra, and Gershwin’s Variations on “I Got Rhythm” with the South African Broadcasting Company Symphony Orchestra. Mr. Strauss has resided in Boston for the past thirty years where he has taught for several performing arts institutions and is an active and highly sought-after coach and accompanist. At the New England Conservatory for the past seventeen years, he currently serves as vocal coach for the graduate opera program where he both gives classes and prepares scenes programs and mainstage operas. He is also on the faculty at the Boston Conservatory where he maintains a studio of private coaching students as well as teaches song and operatic repertoire classes. Previously he was music director for the Boston Conservatory’s opera program and conducted various operas including Suor Angelica, Gianni Schicchi, Albert Herring, Xerxes, L’Egisto, and The Ballad of Baby Doe. He continues to be an active artist on the conservatory’s faculty recital series. From 2011 to 2017 Mr. Strauss was the music director of the International Performing Arts Institute which convenes every summer in Bavaria Germany. He keeps up a busy schedule of performances outside of his conservatory work. He has been heard in recital at various Boston venues including the Museum of Fine Arts and the French Library and as well as in New York at the Weill Recital Hall in Carnegie Hall. He has been the principal pianist with Boston Music Theater, which has performed in Cambridge’s Regatta Bar, and has frequently toured Europe, including concerts at the embassies in Brussels, Paris, and in Russia at both the Spaso House and Rachmaninoff Hall. He has recorded chamber music for WGBH. As a conductor, Mr. Strauss has led the New England premier of Bizet’s Pearl Fishers, Die Entfürung aus dem Serail at Boston University’s Tsai Center, and The Dialogues of the Carmelites with Boston Opera Collaborative.